Love reading your reviews gals! 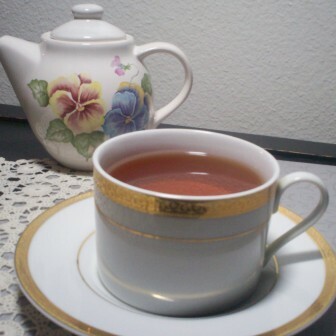 I would be most excited to try rooibos toffee tide as I am still trying to find rooibos teas that I can enjoy. Thanks for the contest! Liked and updated status on Facebook with a link to this contest too. For me, I think it’s a toss-up between the Lupicia Earl Grey and 52Teas’ Blueberry Cream Cheese Danish. I have to admit, part of the attraction of the Lupicia tea is that they don’t ship to Canada so I rarely the chance to try one of their teas. How could I ever pick one?? They all sound so wonderful! well my answer would probably change from 1 day to the next because they all sound good, but today it’s the Rooibos Toffee Tide that caught my eye. Thanks for a great giveaway! I’d have to go with the Blueberry Cream Cheese Danish. I love Frank’s teas, and I missed ordering this one by *this* much. I admit, I’m most excited to try the Blueberry Cream Cheese Danish – I haven’t had anything from 52teas yet! I commented on the Steepster thread and tweeted the giveaway ( http://twitter.com/_teabird/status/26780207778 ) too; I should be following both of you on both sites. I’m mentally arm wrestling with myself because I don’t know which sounds tastier, the Rooibos Toffee Tide or the Blueberry Cream Cheese Danish. O…K….left…hand…losing….strength…..BLUEBERRY CREAM CHEESE WINS!